HelloFresh's mission is to combine healthy eating with convenience and introduce a more modern, relevant approach to meal planning and shopping. 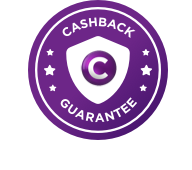 Cashback is payable for new customers only. Valid on Classic, Family & Veggie Boxes only and ongoing subscriptions. Cashback is not valid on Gourmet Boxes. Cashback is not valid on sales through HelloFresh’s Refer a Friend program. Cashback is not valid on exclusive HelloFresh partnerships and/or various special promotions (e.g. Groupon). Cashback will not be payable if the goods or services are cancelled or returned.